Hello! So, I’m a tad late. Again. lol. But, I am posting only a couple of days late this time. And, I am back to a classic favorite author of mine this week: Julie Klassen. 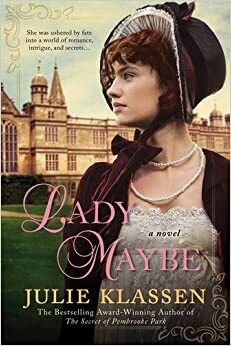 Her newest novel, Lady Maybe, was one of the most interesting novels I’ve read in a long time. This novel was a shock, in the best way. I’ve been a fan of Julie Klassen for years, but this one really stood out to me. Sure, it had the classic Julie Klassen secrets, the mysteries that if released could destroy lives, but even she took a new page in the book. There were so many twists in this book that I was not expecting, which is very rare for someone who’s as avid a reader as I am. I usually see most surprises coming, but not in this book. I actually had to re-read the last few chapters twice just to let the ending sink in. Oh it was good! It was a very good ending, but also a surprising one. The beginning starts with an accident, and a lady with no memories, and it only gets better from there. A lady with no memory, a lord in a coma, a solicitor who’s inquisitive and skeptical, and a lord chasing after them makes this story rich. Add to that multiple points of view, and not the traditional hero and heroine, and this book is a great read. It’s definitely a heavier read, dealing with deeper issues, but a good one and one I recommend for those interested in a meatier story. You can find this novel on both Kindle and NOOK, not to mention the good old fashioned paperback. Also, you can follow this wonderful author on Facebook and Twitter, not to mention checking out her website. Chat with you soon! 1. As the last of a series, you certainly ended with a bang. Was it difficult coming to the end of your characters’ journeys? It was difficult because I had been working on this series for 5 years and the characters had become like family. My husband and kids spoke of them as if they were real people because of how much we all plotted this story together. For a few months I had horrible writer’s block because I didn’t want their story to end but I knew that it was time. There were certainly a lot of twists and turns, any of those surprise you? Or were you planning on those fun moments from the beginning? The twists and turns were certainly surprising to me. With every book my husband would read the first draft and tell me that I needed more twists. Our goal from the very beginning was to increase the twists with each book. 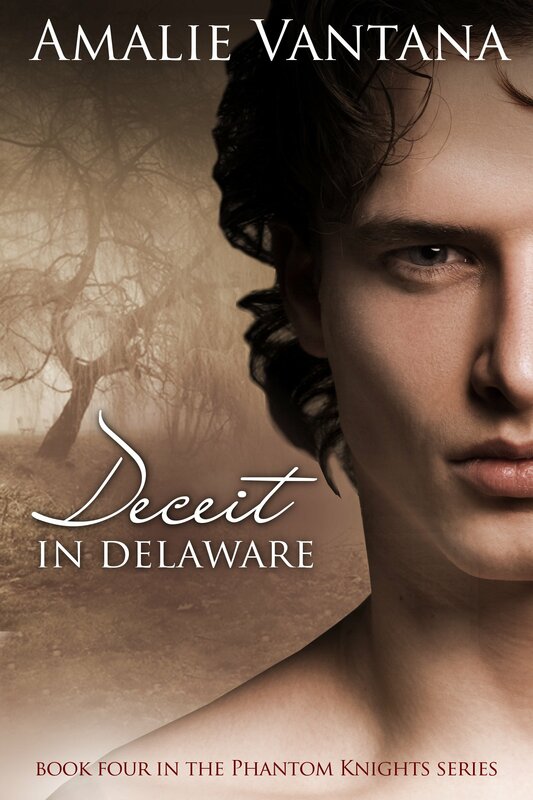 Perhaps the greatest twist of the series, which happens in Deceit in Delaware, was planned from the very beginning and I built everything else around that twist. Some of them, like who Levi, Bess, and Freddy ended up with, were surprises to me. As a bonus, you included a novella of how it all began. How was it writing the beginning after the ending? Writing the beginning after the end had been my plan for a long time because I wanted to wait to see how I developed certain characters’ journeys before I created the back story. It was rather therapeutic for me because I was not yet ready to let go of the Phantoms and writing the story of William and Nell gave me closure. Now that this series is finished, do you have plans for future ones? I do have some plans for future works. There is currently 1 stand alone historical fiction that I am plotting which takes place in the early 1900’s. I also have plans to finish the Realm of Dreams trilogy and to release a YA series called Fear Slayers, but writing has been put on hold for a while since I am due this month with my fourth child. And of course, my favorite question: any advice for aspiring authors? My advice for aspiring writers would have to be to remember that any criticism that your story may receive is not a slight against the writer as a person. It is so difficult to put your heart into your work and then have it slammed. If that should happen, pick yourself up, shed some tears if you need to, and then keep moving forward. Not everyone will love every story that they read, but the fans that your story will make will be worth all of the tears, doubts, and time that the writer has invested in making their story the best that they possibly can for this time in their life. Thanks again for taking time to join us today, and for the wonderful answers! Now, my thoughts on this book? Amalie Vantana has truly finished her Phantoms series with flourish. There were twists and turns, and surprises I never saw coming. I was both heartbroken and joyous as I finished this journey with the characters. Once again following this path through the eyes of Jack and Guinevere, it none-the-less brings all characters together in a battle for everything they hold dear. Devotions will be tested as deceptions are unmasked and darkness closes in. It is not a light story to read, but well worth all the tears shed with the characters. Reminding me of National Treasure, she weaves together a wonderful mystery in a beautiful time period of American History, with a fantastical treasure far greater than any gold. The settings are beautifully written, and the action-packed scenes leave your heart racing. And the ending, while bittersweet in many ways, is still beautiful. Plus, there’s the bonus of after you finish reading how the journey ended, read The Phantom Knight bonus novella, the story of how it all began. Be prepared to have questions answered in this adventure telling how the Phantoms began. This is a wonderful read, one I highly recommend, and am looking forward to this author’s future endeavors. I hope I peaked your interests in this wonderful novel and wonderful series! You can pick it up for Kindle, and if you haven’t read any of the rest of the series, the first book, Phantoms in Philadelphia, is currently free to download. Also, feel free to follow this wonderful author on Facebook and check out her website. Hope you enjoy her stories as much as I did!